At both beaches you can rent sunbeds, umbrellas, bikes, and other beach equipment. Along the city beach is a nice promenade with many cafes, restaurants and small shops. At the end of the promenade is the port, monument Lazaret, and fortress Castello where tourist boats offer trips to the islands, beaches, sightseeing of Budva Riviera and Bay of Kotor. 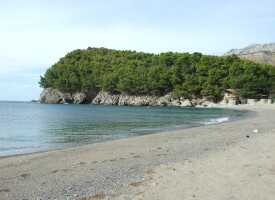 Small bay Lučice is separated from the city of Petrovac by “Malo brdo” hill. To get to Lučice, one has to take a flat road (1 km) and go through the pine woods and Mediterranean vegetation. The top of the “Malo brdo” offers magnificent view of the Adriatic sea. 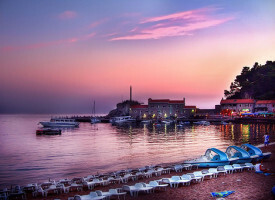 Although Petrovac is a favorite summer resort for families with children, there are also water sports, such as skiing, tubing and jet skiing there. 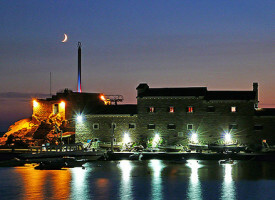 Petrovac is also a place of historical significance with preserved Roman mosaic from the third century (depicting Hypnos, the god of sleep), and monument Lazaret and fortress Castello dating back to the Venetians. Restaurant Giardino is just 5 km away from Petrovac.